Belt Buckle Flask - Stainless Steel - 3 oz. 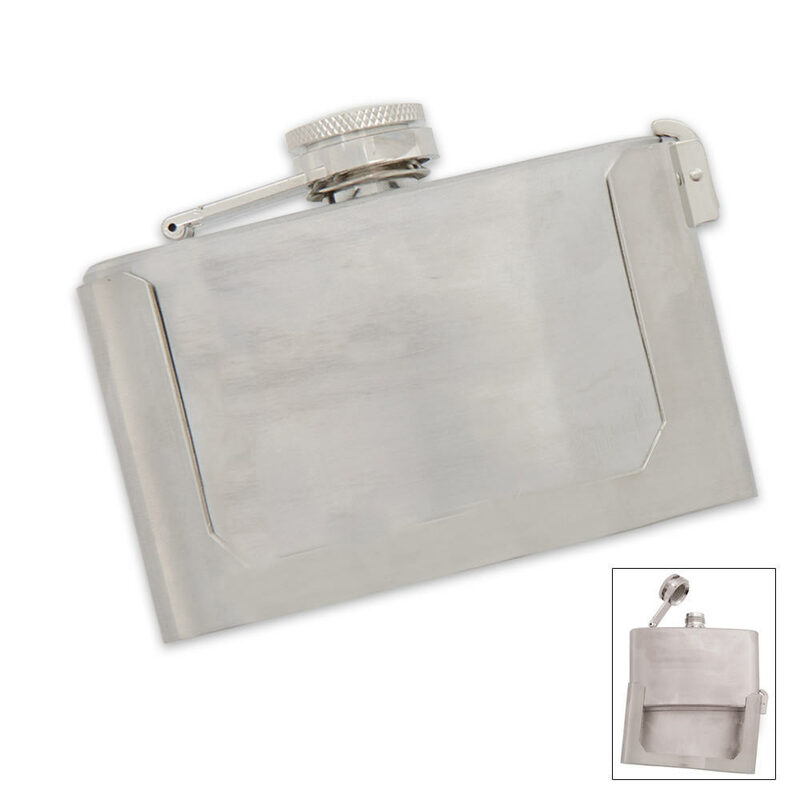 This belt buckle flask features all stainless steel construction with satin finished sides and a polished top and bottom. The buckle platform includes magnets to securely hold the removable flask in place. Takes 3 oz. of your favorite beverage on the go. Fits belts up to 1 1/2 in. wide. got this for my brother for Christmas, he likes stuff like this and i know he will love it. it looks great and is all kinds of clean and shiny, i might have to get one for my self as well.